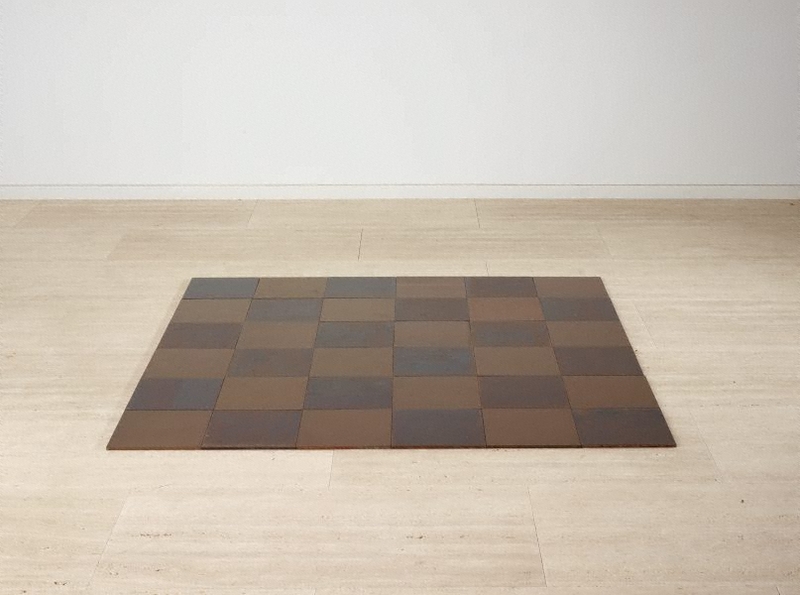 Carl Andre nearly always works in a grid, with the dimensions of his finished works determined by multiples of a basic module – such as a brick, metal plate or house beam. The shape of each work depends entirely on the number and configuration of modules. The works are often laid out on the floor like carpet and can in fact be walked on. Although not site-specific, the works emphasise and respond to the planes of the space they occupy. While the minimalist use of industrial materials on a grand scale is often regarded as overtly masculine and assertive, Andre’s work, in contrast, is modest and quietly poetic. Signed and dated l.l. certificate of authenticity, black fibre-tipped pen ".../ 1969/ @ [artist's monagram]".